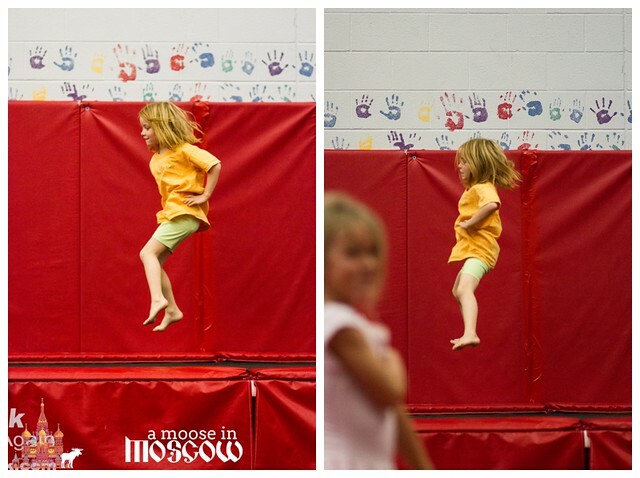 A few months ago, Lena came home from school and told me how good she was at gymnastics. The next week, she came home and told me the same. They had been trying gymnastics in gym class, and she really loved it. So, we asked her and Reed if they would be interested in taking it. To which, we got a resounding YES. So, we signed them each up for a 7-week class. This was their last week. They had a parent’s observation day, so I got to go in and see what they’d learned. He rocked this rope. Made it look easy. It’s really high! So, my thoughts after one gymnastics class? I’m not sure we’ll be doing it again. Don’t get me wrong, the program is great, but I think gymnastics didn’t really meet their expectations. They both enjoyed it, but neither one of them was very disappointed that it was over. I think they were both expecting more open-play and less focus/working on skills. We’ll see if Reed or Lena expresses an interest in the future and then maybe we’ll reconsider. 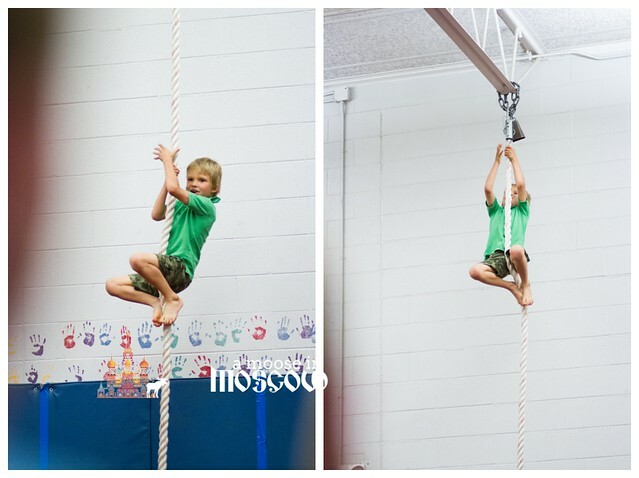 At the very least, they learned some new skills and got to try some new things! I’ve seen “creative movement” classes hosted at YMCAs or other kids gyms. I wonder if that might be closer to what Lena was thinking?